On 22 March 2017, the immediate past president of the Sarawak Heritage Society draw attention to earthworks on the land immediately facing site of the Bongkissam shrine in Santubong. It was then learnt that these works related to a project to extend Santubong village. It seemed that in allowing the construction works, little or no consideration was given to the fact that just next door stands one of the most significant archaeological finds in Sarawak. When it was brought to public attention, Sarawak authorities ordered the works to be stopped for one week, from 24 to 31 March, to allow the Museum Department to undertake archaeological investigations on the site and to submit its findings to the Government. The Museum was to move in on the site on 27 March. Meanwhile, the idea of relocating the Bongkissam shrine was suggested as a possibility on the Government side. On 1st April, the media announced that “all activities related to the ‘Village Expansion Scheme (SPK) at Kampung Santubong (…) will resume soon”. A discussion between the Museum Department and relevant Government entities had concluded that “there was no (…) artefact or any archaeological remains found on the SPK site” (Borneo Post). 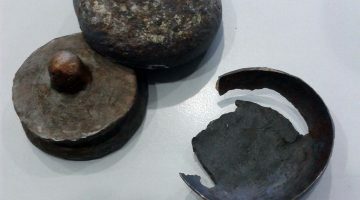 The historical value of the Santubong area and the presence of some archaeological remains on the village extension site were however acknowledged: “Only a few fragments such as pieces of old potteries, fragments of what appeared to be from a Buddha figurine and also old metal fragments, were found by the research officers recently. The majority of the major finds was already collected by the Museum (Department) in the 1960s and 1970s. As such, there’s no more archaeological item to be found at the site where the SPK will be on”, the Borneo Post reported the Sarawak Assistant Minister of Public Utilities saying. 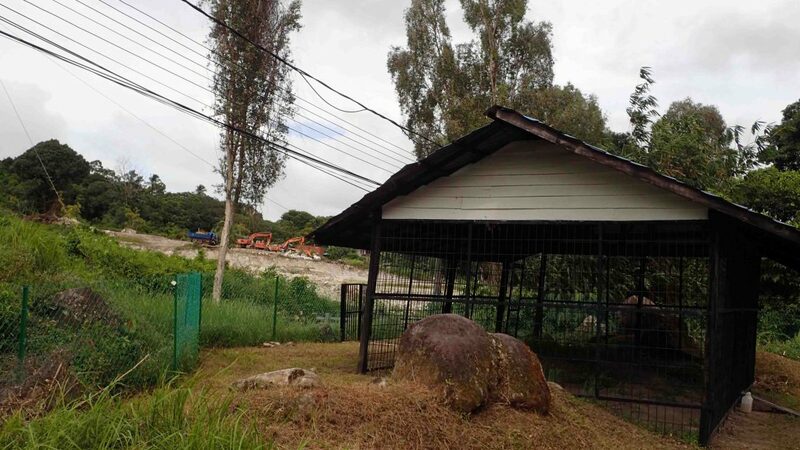 The Minister specified that the ‘large rocks’ that are scattered in the area would be preserved and possibly gazetted in view of their historical significance to the Santubong landscape. The whole Santubong area houses a wealth of archaeological remains, evidenced by the excavations undertaken by Sarawak Museum teams in the 1960s. Some of the finds have been dated back to the 7th Century. The Santubong archaeological sites are therefore very important for the understanding of the State’s history within this region. “Santubong is in fact the largest archaeological site in Malaysia, in comparison with Lembah Nujang in the Peninsular Malaysia. (…) It is believed that this area was once an important centre of traders and iron mining in the region between 11th Century A.D. to 13th Century A.,D.” states the Sarawak Museum Department website. The Bongkissam site, specifically, is a Gupta Period candi (small stone temple structure) estimated to date from the 12th-13th century. Among the objects uncovered on the site were a silver ritual box and 142 gold objects and a statuette suggesting Indian cultural influence. Just uphill from the shrine, partial excavations undertaken at that time, at Bukit Maras, revealed other remains, including a stone Buddha statuette, also related to the Indian Gupta tradition and which has been tentatively dated 6 to 9th century. Some researchers have argued that Santubong may be the site of the city of Poni, mentioned in Chinese writings as early as the 5th Century. In 2007, the site was proposed to be gazetted as a Sarawak heritage site (together with the 4 other main Santubong sites: Sungai Jaong, Bukit Maras, Tanjong Kubor, Tanjung Tegok) but to this day the actual gazetting does not seem to have taken place. Unfortunately, despite having been, at some stage, roofed and fenced, the Bongkissam shrine itself has, over the years, suffered from degradations, to an extent that the stone structure is today barely recognizable. 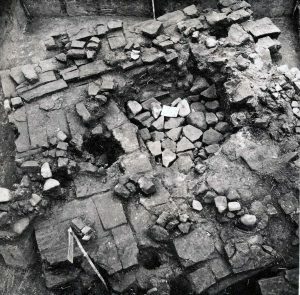 – Since the 1960s, there has been limited excavation work in the area, but the research potential remains significant. Today’s archaeological protocols and tools are also more sophisticated than those used 50 years ago, meaning that complementary excavations can provide a wealth of new findings and shed critical new historical insights -even from unspectacular finds such as pottery shards. “Plenty of archaeological wonders yet to be discovered in Santubong” titled a 2013 article of the Star newspaper . 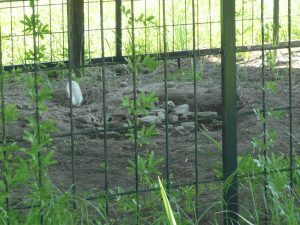 – The piece of land in question has it been specifically investigated in the original excavation campaign of the 60’s or later, and if so what do the related records say? – The recent bulldozing may have caused irremediable and indiscriminate destruction of buried remains of precious historic value. Such destruction may itself have predetermined the conclusion that no more archaeological item is to be found on the site. – Beyond the regulations that usually require works to be stopped whenever historical remains are discovered on construction sites – the Sarawak Cultural heritage Ordinance has such a clause-, many countries have made preventive archaeology mandatory on sites opened for development: whenever any remains of potential historical significance are discovered or are presumed to be present. The archaeological teams move in for up to several months to assess the site while the works are stopped. SHS has not seen the Museum’s report, but it is doubtful that such assessment can be carried out professionally with all relevant due diligences in 5 days, the duration allocated to the Sarawak Museum Department’s archaeologists in the present case. The media have mentioned that only a surface investigation was carried out. More generally, this case confirms a need to strengthen the process for gazetting heritage sites. If specific issues prevented the actual gazetting of the Santubong heritage sites, can these be addressed now to get the gazetting finally enacted? Do the proposed areas to be gazetted provide for boundaries wide enough to preserve the archaeological potential, in view of the incompleteness of the past excavations? This case also highlights the need to involve expressly the Government entities in charge of Heritage (the Sarawak Museum Department, upon the Sarawak Cultural Heritage Ordinance 1993) ex ante into the planning process, i.e. before works are approved or carried out. There is scope for improved inter-government collaboration in planning, first of all in designated areas with proven heritage value or sites such as the Santubong peninsula, the historical centre of Kuching, Sarawak’s rock art sites, etc. 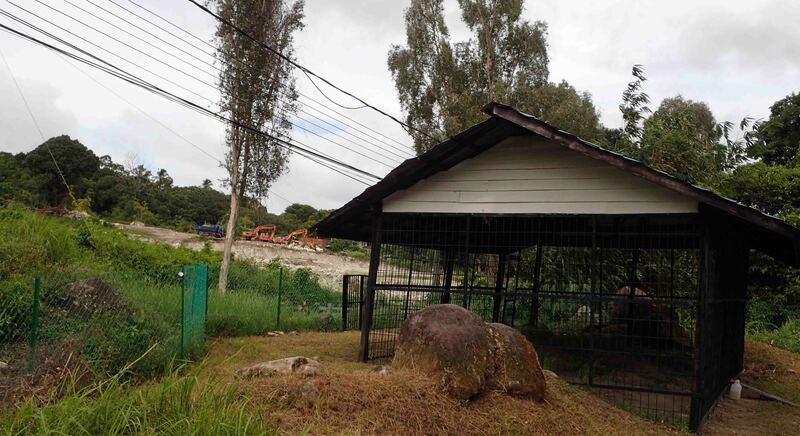 Bongkissam is unfortunately not an isolated case in Sarawak: from the heritage conservation perspective, a number of unsympathetic projects have come up in recent years, especially where privately owned property is concerned. It is worthwhile looking at the rules advocated by UNESCO for heritage sites. By adopting them, Malacca and George Town’s heritage cores have boosted their tourist economy. The Sarawak Heritage Society firmly believes that the protection of Sarawak’s heritage can only be achieved if everyone pulls together in a coordinated multi stakeholder approach, to achieve a balance between economic development and heritage conservation. Heritage conservation carries long term economic benefits. SHS reiterates its availability to contribute, within its means, to such a process and trusts that the proposed Santubong Archaeological Park will be designed in line with global heritage conservation guidelines. Heritage is our collective story. 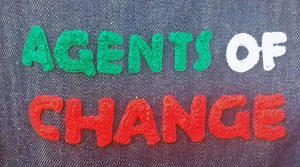 It enshrines our history and is about the beauties and are the roots that our diverse forefathers have left to us. It is precious to Sarawakians, Malaysians and the whole world and for future generations.